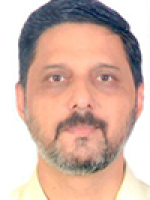 Santosh, a Chartered Accountant is the founder member & CEO of Saankhya Technosystems. He has more than 23 years of professional experience in the areas like Accounts, Finance, Taxation & Information Technology. A result oriented professional having 17 years of experience in Oracle Applications full cycle implementations, Project Management, Program Management as well as Solution Delivery Management . He has immense expertise in handling a diverse range of operations in the areas of Oracle Application, consulting & implementations, Development, Training and Support. Expertise in planning, implementing and solution delivery of the product/service in accordance with the Organization processes. He has wide international experience and worked on assignments in countries like South Africa, Botswana, Uganda, Kuwait, Dubai, Oman, etc. Santosh during the tenure of his Oracle Career, has worked with many organizations including Deloitte Consulting (South Africa), RPC Data (Botswana), Oracle Solution Services (Bangalore), Oracle Consulting (Mumbai) and WNS Global Services. Prior to forming Saankhya, he was Promoter and Managing Director of Exora Consultants Private Limited. 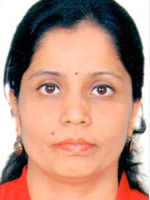 Tanuja, a C.M.A professional and an Oracle Certified Specialist is a Solution Architect of Saankhya. She is having 17 Years of varied experience in the areas of Treasury, MIS, Budgeting, Accounting, Internal Controls and Oracle Implementation, support and oracle application health check. Out of total experience she has,10 Years of experience on working Oracle E business suite. During the tenure of her Oracle career, Tanuja successfully handled various roles in Implementation, Development and Support of Oracle Projects. Her strong fundamentals in all the above areas help her in constructive and effective mapping of business processes which is the key for success of any implementation. Shripad, a Commerce graduate is Principal Functional Consultant of Saankhya. He has 11 years of varied work experience in Accounts, Finance, Taxation & Information Technology. 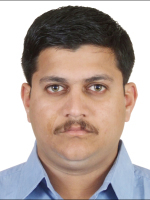 Out of his total experience, 8 years of experience is in oracle implementation as well as onsite and offshore support. Shripad has worked on multiple full cycle implementations within India as well as in abroad. Prior to joining Saankhya, Shripad has been associated with CGM Industrial (PTY) Ltd., South Africa, Mansoft Solutions And Systems Pvt Ltd, Hexaware Technologies Ltd, Netpulse Communications (India) Pvt Ltd etc and has assumed senior posts within these Organizations. Girish, a Chartered Accountant and Microsoft Certified Professional, is ‘Practice Head – Microsoft Dynamics of Saankhya. He has 12 years of domain experience in the areas of Financial Controlling, Treasury, Accounting & Business Controls, Taxation, Business Planning & MIS. 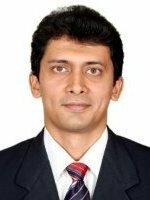 During his career he has worked with reputed companies such as Cummins, Bharat Forge Ltd. and Atlas Copco (India) Ltd.
Apart from his core domain, Girish has also been instrumental in evaluating user requirements to incorporate modern & better functional processes and implementing best practices in most of his prior assignments. Prior to joining Saankhya Technosystems, he was heading finance of a public limited company Kirloskar Industries Ltd.